Plaque is 12" x 9" x 3"h.
Here's a true wall-hanger. Walnut Hollow Oak® Antler Mounts are 100% hardwood to ensure your latest kill gets the royal treatment it deserves. Easy to assemble, easy to mount, great-looking. All hardware and complete mounting instructions included. Plaque is 12" x 9" x 3" and comes in four varieties. 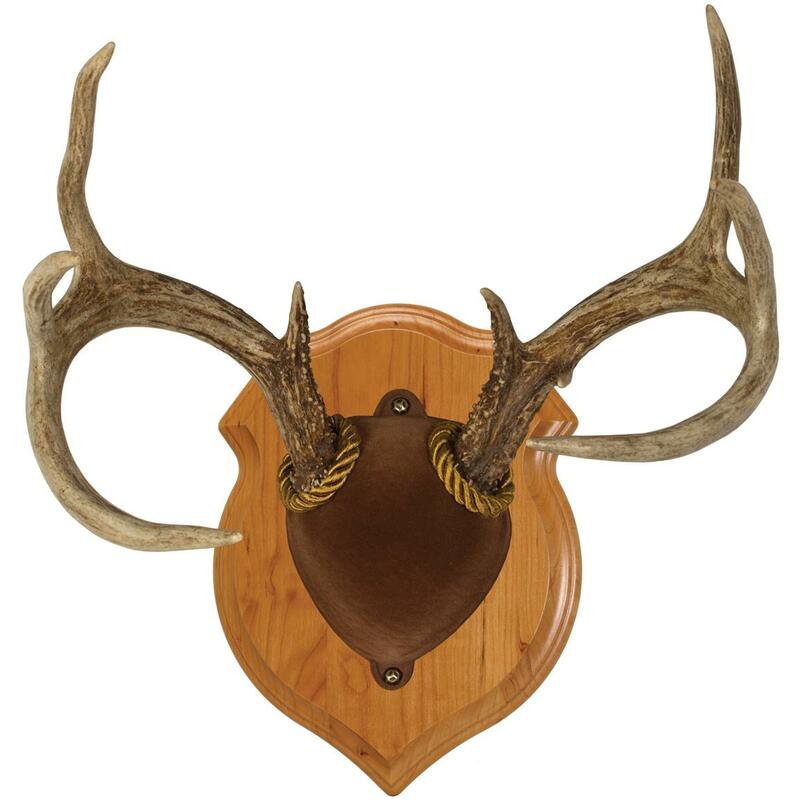 Plaque dimensions: 12" x 9" x 3"h.
Walnut Hollow Oak Antler Mount is rated 4.2 out of 5 by 46. 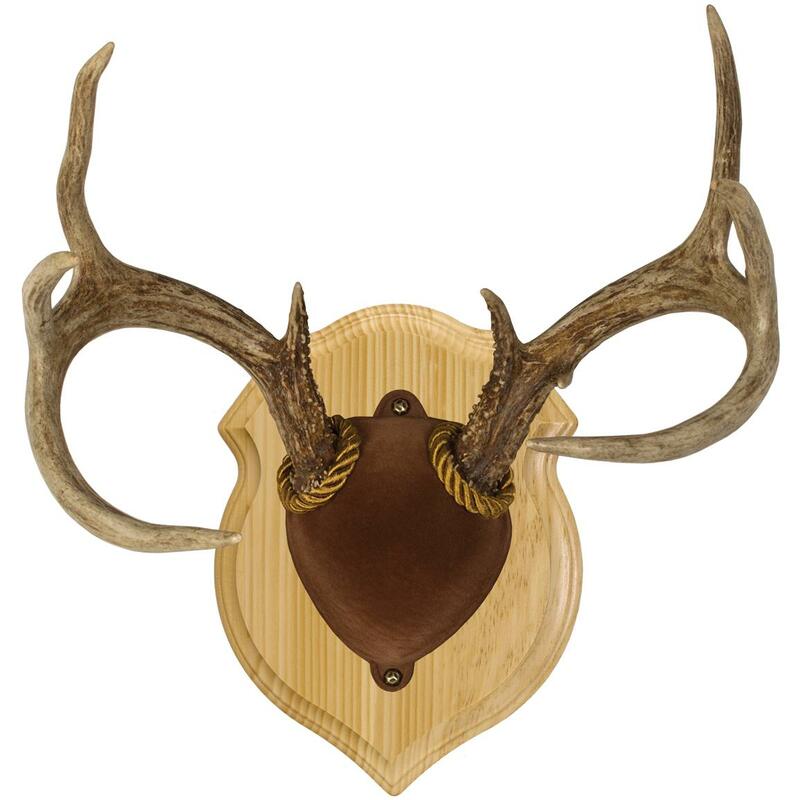 Rated 5 out of 5 by micki from great producted We have 5 of these hanging on our walls, with all manor of antlers. Now we're back for more this hunting season. Thank you S.G. Rated 4 out of 5 by doug from As advertised The ordering process was straightforward, shipping & delivery prompt and without damage and the product was easy to use/assemble. The end result was an attractive and modestly priced way to display my sons deer antlers. Rated 1 out of 5 by dmince123 from Antler Mount We thought we were ordering the mount WITH ANTLERS. We and the child this was for were extremely disappointed. I want the antlers now. Rated 5 out of 5 by Mad Max from Exactly what I expected I have ordered one of these in the past. So I new exactly what I wanted and this is exactly what I got. Pretty simple to attach antlers to plaque, providing the antlers are not real massive at the base. Rated 5 out of 5 by buckwheatpaul from Great mount kit at a great price! Received the antler mounting kit and the instructions were clear and easy to follow. Good pictures to aide. 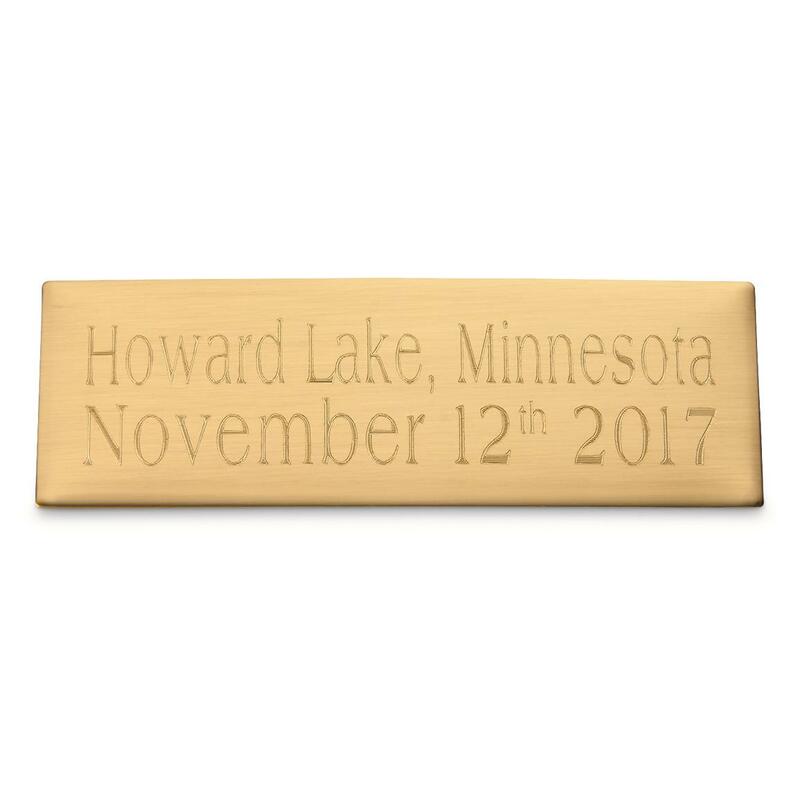 The plaque was great and well finished. I highly recommend this product and have ordered 2 more of these great kits! Rated 5 out of 5 by Bobby J from Looks Great Nice Plaque . I would recommend this but only to someone that has some artistic skills. It is a little difficult to mount and still look good. The easy, no-slip method for European mounts. Easy alternative to professional mounting.